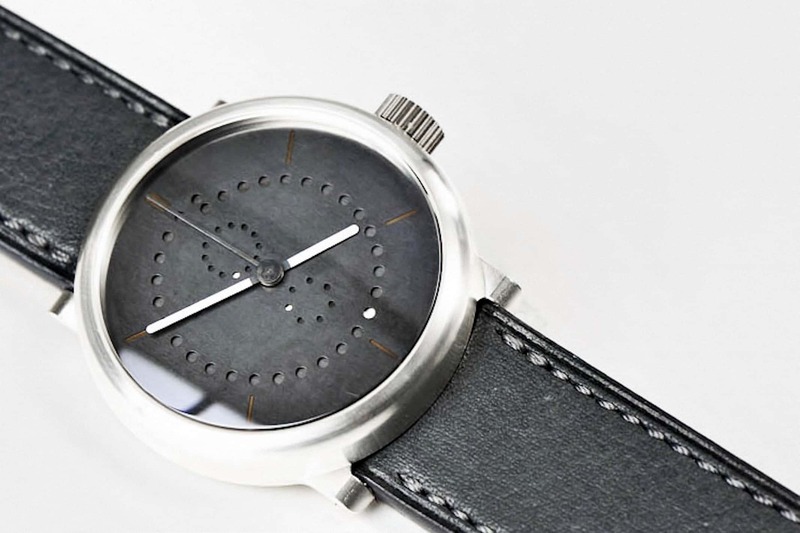 ochs und junior is the platform for personalized watches. Ludwig Oechslin creates an innovative environment in which the prospective owner can tailor a watch to his or her personal preferences. This 39mm annual calendar with its radically pared down annual calendar function is the first off the line and belongs to an architect. Our watches are all about function and the targeted choice of materials. Telling the time comes first for this client, so he has chosen luminous white hour/minute hands to stand out against a dark dial. The seconds hand is less important, so its color is toned down. Next in the hierarchy is the date, the display of which doesn’t take long to master – a glance is all it takes, and it’s far more elegant than large alphanumerics. The patinated brass dial of this particular watch creates the necessary contrast – the customer preferred it to the patinated gold. It needs nothing else, and it’s handcrafted. He also chose silver for the case instead of titanium. Silver ages beautifully – just like interesting people…Watches like this are for people like that. The annual calendar in the picture is indicating 15h50 on Monday, 14 May.